This is a solid silver bracelet. 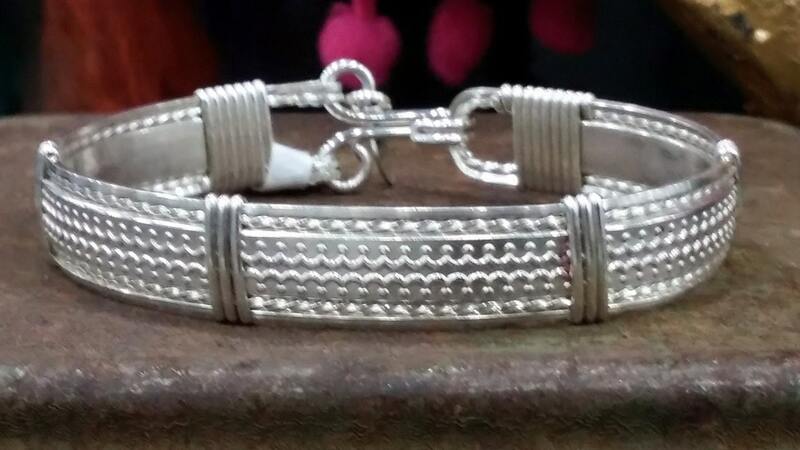 The center piece is sterling silver wrapped in .935 Argentium Silver. This bracelet can be antiqued upon customer request.